FIFA 19 is another variation on a theme that's been working for quite some time. EA Sports’s long-running soccer series has always grasped a crucial concept: If it ain’t broke, don’t fix it. FIFA 19, out Sept. 28 on Xbox One, PS4, Nintendo Switch and PC, is no different. Sports titles go about their annual refresh in different ways, some years bringing about more tangible change than others. For its last several iterations, FIFA, has continued its steady progression: given the overall quality of in-game action, there’s never been a need for the game to reimagine itself, and thanks to mindful tweaks to the look and feel of the game, there’s still something new to sink your teeth into. To be fair, I’ve spent time playing FIFA dating back to 2002, when Thierry Henry covered the game and there were only like 10 criteria with which to determine a player’s rating. Admittedly, I’m slightly biased, but in that sense perhaps even more appreciative of how the gameplay has evolved. This year’s chief adjustments work together to make a significant difference in allowing for more realistic styles of play, if simulation is what you’re looking for. An improved first-touch system coupled with ball physics that feel appropriately random make winning and retaining possession more rewarding than in years past. FIFA introduces a new timed finishing mechanic that places emphasis on users’ skills and allows for gratifying wonder-strikes if executed perfectly. The play feels more measured and appropriately paced on whole. Perhaps most importantly, EA spent time revamping the tactics interface, hitting a sweet spot that newbies can interpret and diehards can appreciate. Where in years past, it was difficult to implement much strategy beyond tweaking your own formation and assigning player roles, FIFA 19 lets users better visualize their players’ designated width and depth during play and offers a range of strategic options. It allows for customizable attacking and defending mentalities that can be easily toggled in-game. The AI also benefits from this and presents more challenging opposition; teams like Liverpool and Atlético Madrid that live off pressing the ball will behave that way in the game. Across various tried-and-true play modes, FIFA 19 succeeds by consistently funneling you back into the action, the lifeblood of the game. Career mode is back, again allowing you to play as a manager or a player, and Ultimate Team continues to provide dynamic online play. FIFA 19 includes another chapter of The Journey, which has charted the career of fictitious British star Alex Hunter for three games and running (and now includes two other playable characters, including Hunter’s sister, Kim). Creative wrinkles have been added to Kick-Off mode, allowing players to customize rules (or eliminate them entirely) and change the parameters of gameplay for entertainment value. 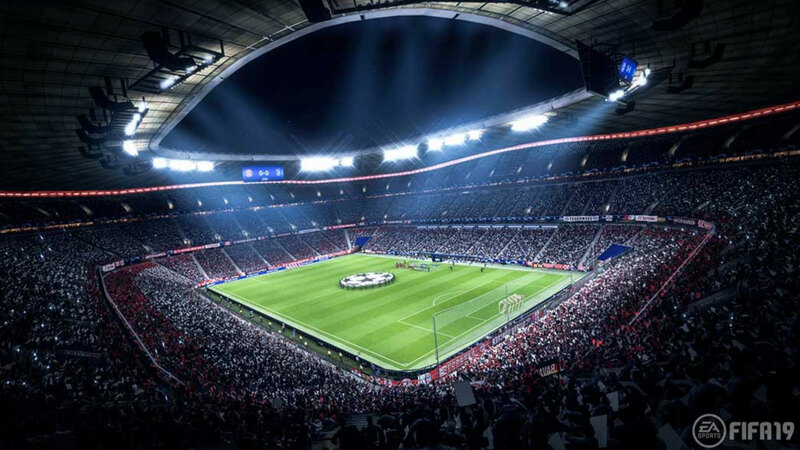 On top of all that, FIFA rolls in official Champions League and Europa League presentation rights for the first time, adding to the overall realism of its various modes. When playing in Europe versus domestically, or if your team is promoted or relegated in career mode, the sleeve patches and numbering on your jerseys will change accordingly. There also appears to be new emphasis on nailing player appearances, from hairstyles to tattoos to penalty-kick approaches. The product feels more authentic as a result, and it’s been done with care. While the career mode interface and features have been the same for a few years and remain in need of some thoughtful overhauling, the cosmetic changes do make an appreciable difference. Whether you're a casual fan who came down with World Cup fever over the summer or a die-hard who can differentiate one Brazilian Fred from another, you’ll find something to love (and hours to spend) with this year's game.